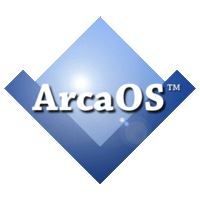 ArcaOS 5.0, the long-awaited modern OS/2 distribution from Arca Noae, was released for general availability today. ArcaOS 5.0 is available in personal and commercial editions, with the latter including prioritized support and a longer term of included maintenance and updates. The personal edition is also offered at the discounted price of just $99 per license for the next 90 days, so take advantage of the savings during this introductory period. Current Drivers & Software Subscription holders should watch the Arca Noae site for details on how to obtain a credit or rebate for the unused portion of their subscriptions when purchasing licenses for ArcaOS 5.0. ArcaOS licensees should also check the wiki pages which should see a number of updates in the coming days to help get the most out of their software. This entry was posted in Arca Noae, New software releases, News on May 15, 2017 by Lewis Rosenthal.